Twin Cam Group news is distributed predominantly via our 4 page spreads in Safety Fast twice a year. We also offer a frequent eNewsletter called “Twin-CaMGazette”. A new parking arrangement this year, we were parked up in a ‘model’ by ‘model’ “Timeline”. It seemed to make it more interesting for the public to see a small gathering of approx. 8 parallel parked cars per model in the timeline, whilst more cars were parked around the entire museum grounds in a mixed formation. Just visible at the foot of the greenery, you may be able to make out the entrances to the concrete bomb shelters. 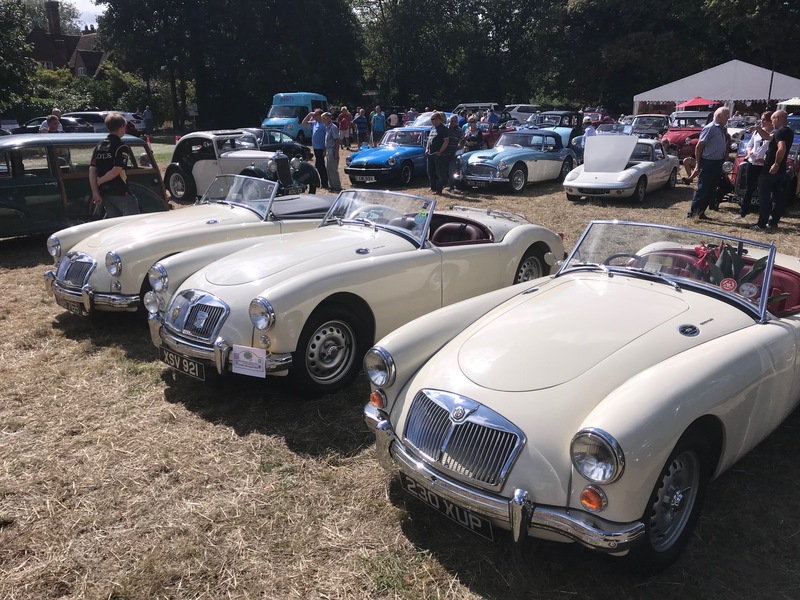 “Three of a kind” parked up after the Rare Breeds Tour. 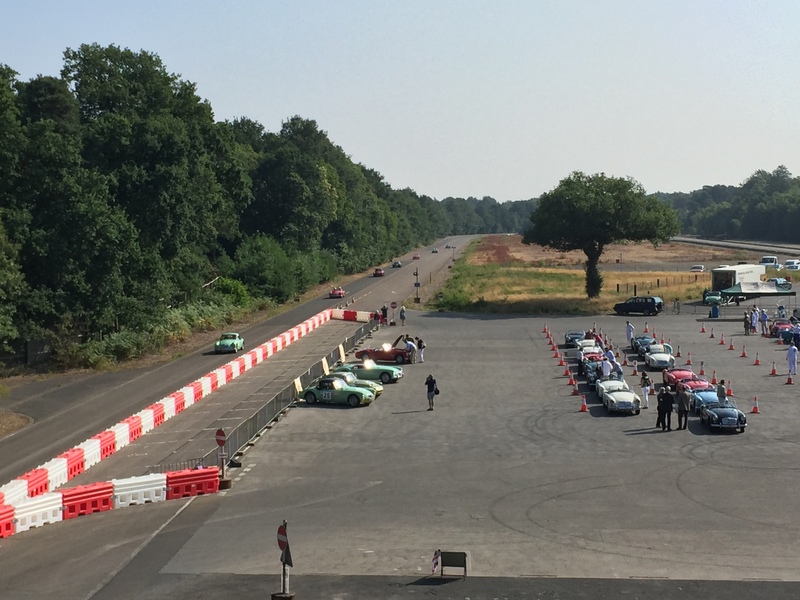 We held our main 60th Anniversary event on 14th July 2018, to the exact day, sixty years earlier, of the original Press Launch of the Twin Cam at the Chobham Test Track. 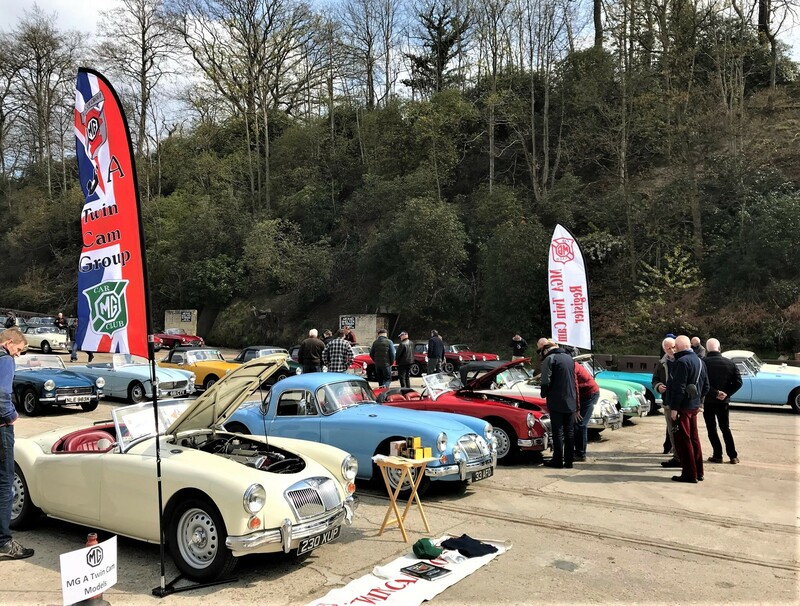 We held the event at the original venue and even had the man that organised the original event in 1958, Geoffrey Iley, to give us a flavour of that day sixty years ago. 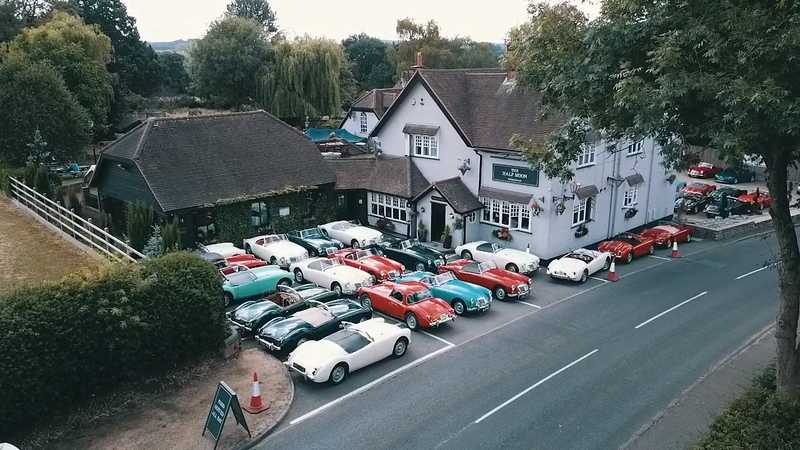 With over 100 attendees and 53 Twin Cams this was the biggest ever gathering of our cars in the world. 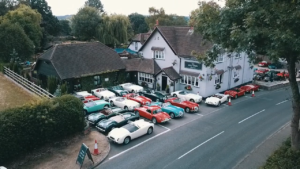 We finished the day with a lunch at The Half Moon Free House in Windlesham, where the car park looked more like the 1950’s despatch area of the MG factory in Abingdon. Brooklands were kind enough to allow us the central display area to kick of our 60th Anniversary events. A great day was had by all, despite the very wet weather. 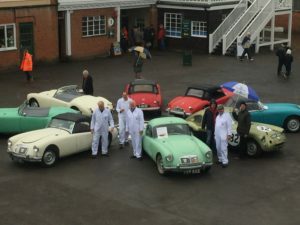 We even had the chance to drive around the Mercedes Benz World track in the pouring rain, while saxophonist Bob Webb played “On Days Like These”! Here’s a great photo of the Twin Cam Group celebrating the Group’s 50th anniversary in May 2016, at The Half Moon Freehouse, in Windlesham. 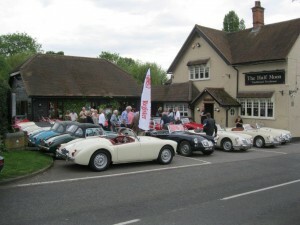 A venue we used again for 2018’s post Chobham 60th event lunch and AGM.